Former Texas Gov. Rick Perry met Monday morning with President-elect Donald Trump. Perry arrived at Trump Tower in New York City at 11:07 a.m. Eastern Standard Time and exited the building at 12:30 p.m., according to a pool report. He did not respond to requests for comment from reporters at Trump Tower. Trump aide Kellyanne Conway told Fox News Monday that Perry is under consideration to lead the Defense and Energy departments. It is unclear how seriously Perry is under consideration for these posts. In a statement released later Monday, the Trump transition team said the president-elect and Perry "had an in-depth discussion on homeland security, border control, and illegal immigration. Their conversation also included the bureaucratic challenges facing the Department of Homeland Security and Defense, ISIS, and America’s place in the world." 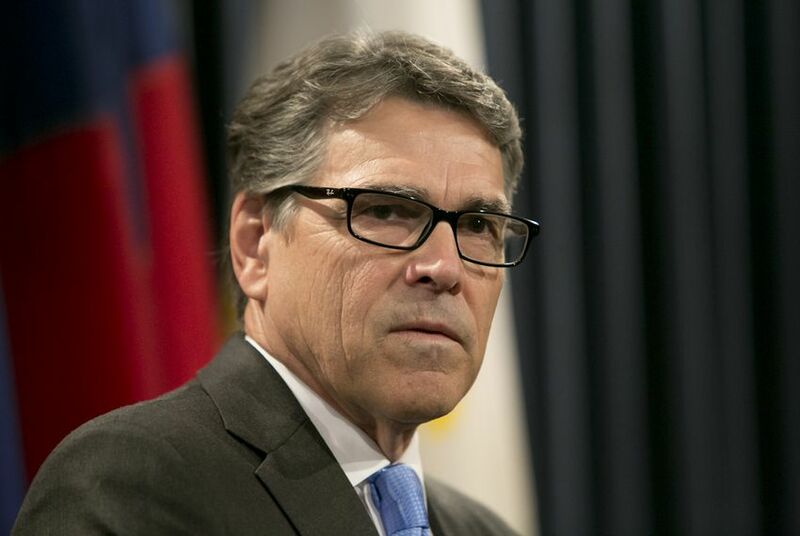 Perry, an Air Force veteran, was one of Trump's most viscerally critical opponents over the course of the Republican primary campaign, at one point calling the real estate mogul a "cancer on conservatism." But Perry was also at the vanguard of establishment consolidation around Trump, once it was clear he was the party's nominee. Perry attended the Republican National Convention this summer and campaigned for Trump in the general election campaign.